The Baltimore Ravens will be without QB Joe Flacco for one week of training camp after he hurt his back during a lifting session. The Joe Flacco roller coaster is in full effect. The Baltimore Ravens’ starting quarterback was reported to have a sore back and was going to miss some time. Immediately after, NFL.com’s Ian Rapoport added that Flacco could miss anywhere between three and six weeks of training camp. It became a little worrisome at that point because Flacco would be missing valuable practice time with his offensive skill players. With the back, you can always say, we’ll see. But all indications from the back specialist and Dr. [John] Carbone are that he should be fine in about a week. That’s what we’ll be hoping for and praying for. Ravens’ fans can definitely exhale a little bit, as it only seems like Flacco will be missing a week of training camp now. That’s much better news than the six weeks he could’ve missed per Rapoport’s report. Baltimore has already been dealt a bad hand by the injury gods with season-ending injuries to TE Dennis Pitta and RB Kenneth Dixon. Luckily, it seems like Baltimore has avoided anything major to Flacco here. 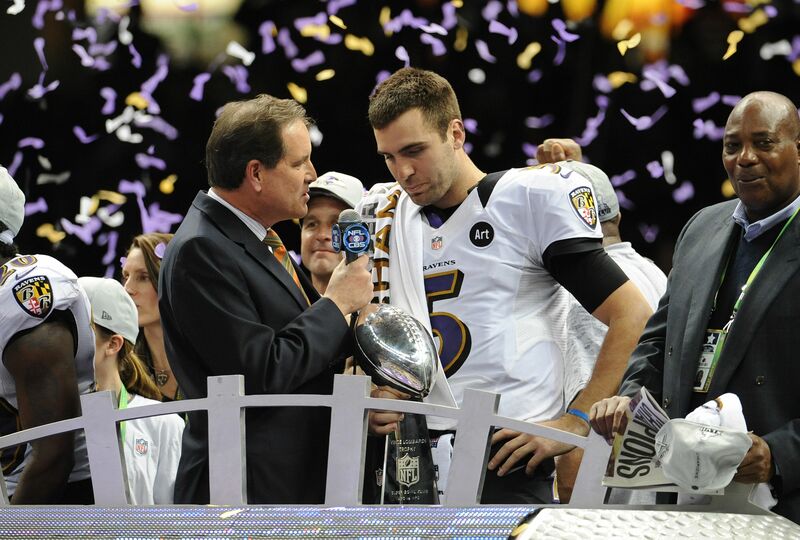 ESPN’s Adam Schefter added that the injury was likely a result of Flacco’s lifting session from earlier. The Ravens head into training camp with two other quarterbacks on their roster in Ryan Mallet and Dustin Vaughan. GM Ozzie Newsome is reportedly looking at QB Colin Kaepernick as a possibility for another camp arm. Hopefully Flacco can return to full health soon and get working with his new weapons on offense as the Ravens look to get back into contending form.